Warcraft Looks: Cloth Mogging Outfit: "Green! Glorious Green!" 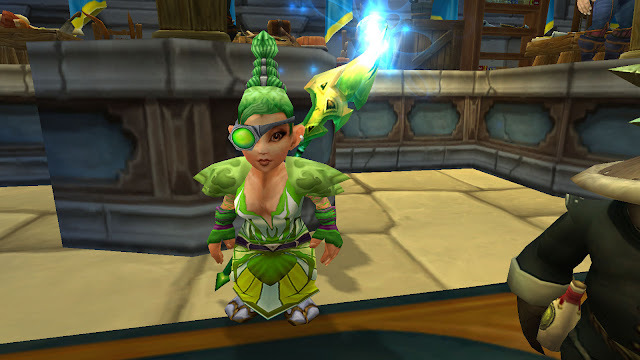 Today's look comes from a little unassuming gnome I spotted around the auction house. I call this outfit "Green! 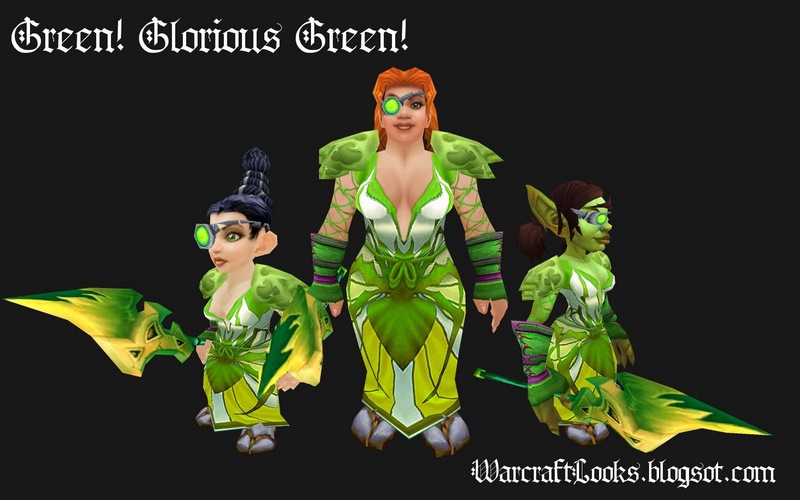 Glorious Green!" and it is, well, green. Really green. Bright green and I love it. A lot of effort and though went into this lemon-lime explosion. Here is the original creator. I love the green gnome hair that matches the outfit!